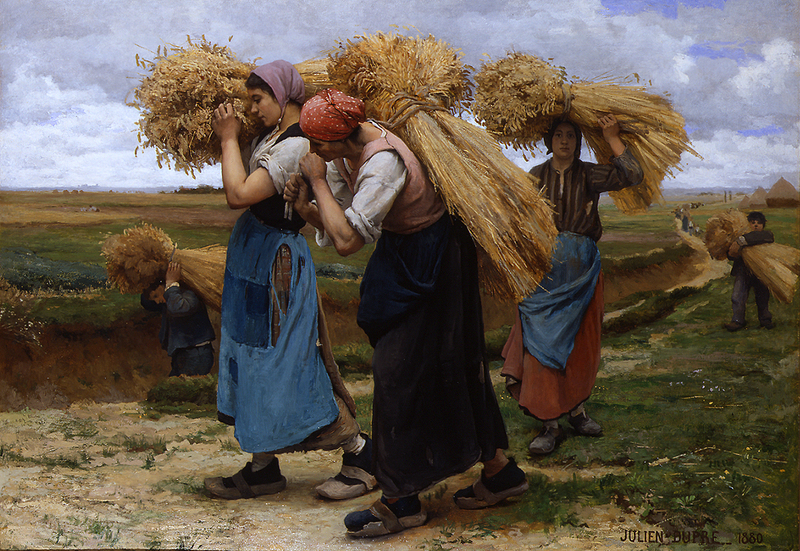 Julien Dupre, French, 1851-1910. The Gleaners (1880). Private Collection. Dupre is one of many artists that should be better remembered. With the intent of helping to resurrect appreciation for some of the great and less-remembered artists of the past, I plan on regularly writing about what I will call "Forgotten Masters." Many nineteenth-century artists still sit in obscurity, not for lack of brilliance, but due to the shifting winds of culture at the end of the nineteenth and beginning of the twentieth centuries. The meteoric rise of Impressionism and other artistic movements left many academic artists, still at the peak of their talents, in the dust. As we have distanced ourselves from changing fashions of those times, painters like Ingres, Gerome, Bouguereau, Eakins, Leighton, and Alma-Tadema have become more well known and received the recognition their works deserve through major exhibitions, scholarly books, and, finally, coffee-table books (the ultimate evidence that an artist has "made it"). Yet we have only scratched the surface of nineteenth-century painting. According to a friend of mine, Dr. Vern Swanson, there were over 300,000 painters working in France in the nineteenth century. If you have any nineteenth-century artists that you feel have been neglected and would like to see me post on them, please feel free to write me: mjc "at" beardedroman.com. Because my research is currently focused on Spain, many of the artists I will begin with in the series will be Spanish. Starting tomorrow, look for posts tagged and titled "Forgotten Master."